In the study of birth outcomes, going to extremes is not always necessary. While intense events such as heat waves, deep cold or famine can impact fetal development and play a major role in the health of newborns, scientists who study birth outcomes can learn a great deal in more moderate scenarios. To illuminate this, IZA research fellow Xi Chen, a health economist and assistant professor in the Department of Health Policy & Management at Yale University, looked to the Muslim observance of Ramadan, which requires a month of fasting from sunrise until sunset, to understand how nutritional disruptions to an expecting mother can impact fetal development. The study was published as IZA Discussion Paper No. 8494. Studies of external factors such as fasting also can have greater influence on policy making than the study of extreme factors such as famine, Chen said. Moderate factors affect far more people: the Ramadan fast potentially impacts the health of more than one billion Muslims worldwide. Chen’s study revealed that babies who were deprived of prenatal nutrition during Ramadan were more likely to be obese later in life. More generally, having been constrained during early life, Chen said, babies make more efficient use of the limited nutrients they receive during a time of fast, and develop stronger digestive systems. As this generation ages with access to abundant food supply (high fat, sugar diets, etc. 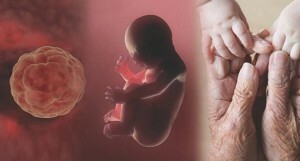 ), Chen said, the effect of this adaptation to the early environment of under-nutrition begins to show. Birth outcomes can hold several clues to the adult that newborn will someday become. By examining factors such as a newborn’s birth weight, gestational size and birth defects, Chen looks to predict not only future health, but also the potential for future economic success. In another study, for instance, he looked to poor, rural China and the effect that the practice of gift giving has on birth outcomes. “If you do not send a gift,” during community festivals and observances such as births, marriages and funerals, “you become socially isolated,” said Chen. In years with an abundance of such events, expectant parents are often forced to choose gifts over prenatal nutrition, to protect their social standing. The result, Chen said, is a negative impact on the height of children from birth to age 6 who were born during years of frequent festivals. The study was published as IZA Discussion Paper No. 10662. Prenatal care, said Chen, is an investment that parents make in their children. “Social scientists, like myself, often treat birth outcomes as the starting point for human capital,” he said. The conditions that expectant parents live in, and the economic decisions they make, reflect their commitment to investing in the future health of their children. This prenatal care can help determine a child’s success as he or she grows up, and ultimately enter the workforce and contribute to the economy themselves. As telling as birth outcomes can be, Chen is part of a growing group of researchers going even further back to conception and the whole pregnancy to predict future health. Through data collected from prenatal ultrasounds, Chen is examining three measures: head circumference, femur length and abdominal circumference, all of which, he said, are indicators of long-term health, and predictors of adult chronic disease. 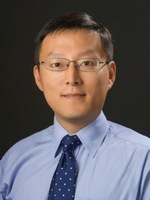 Ultrasound data enables Chen to track each ultrasound throughout a fetus’s development, enabling his team to study trajectories of growth before birth. “I know of only other one economist, Dr. Gabriella Conti of the University College London, who has been exploring early human health using an ultrasound data set.” Chen said. While Heckman’s data set counts information from 1,000 infants in the United Kingdom, Chen, together with Yawei Zhang from Yale’s Environmental Health Sciences Division, are working with a data set of 20,000 babies, collected from hospitals in two Chinese provinces. Next, Chen and his team plan to use ultrasound data to explore prenatal exposure to air pollution and climate change, and how it interacts with an infant’s genes to affect their long-term development. Additionally, Chen hopes to not only continue going back in time, to fetal development, but forward as well.